The British Army of the Rhine (BAOR) was the main element of the British Army based in West Germany from the end of the Second World War until 1994. 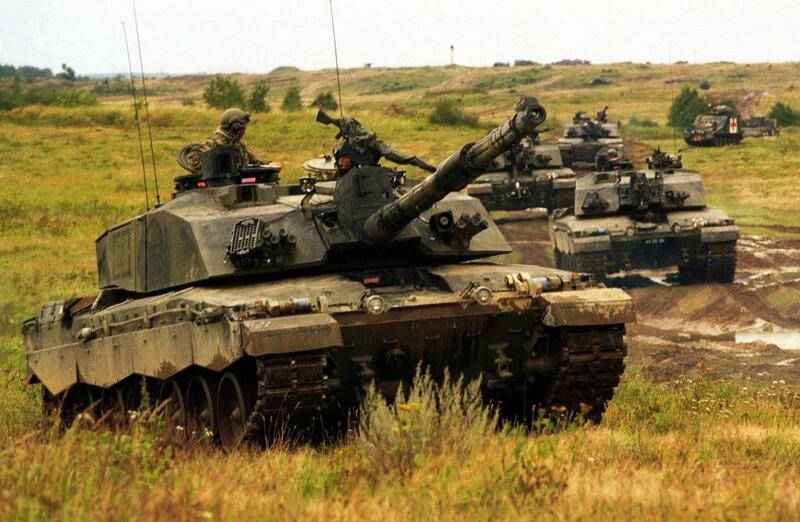 It was tasked with being prepared to counter aggressive operations by Soviet and Warsaw Pact armored forces. At the end of the Second World War the British Army was drastically reduced in manpower to such an extent that the former British Rhine Army consisted of only two divisions, the 7th Armored Division and the 2nd Infantry Division. 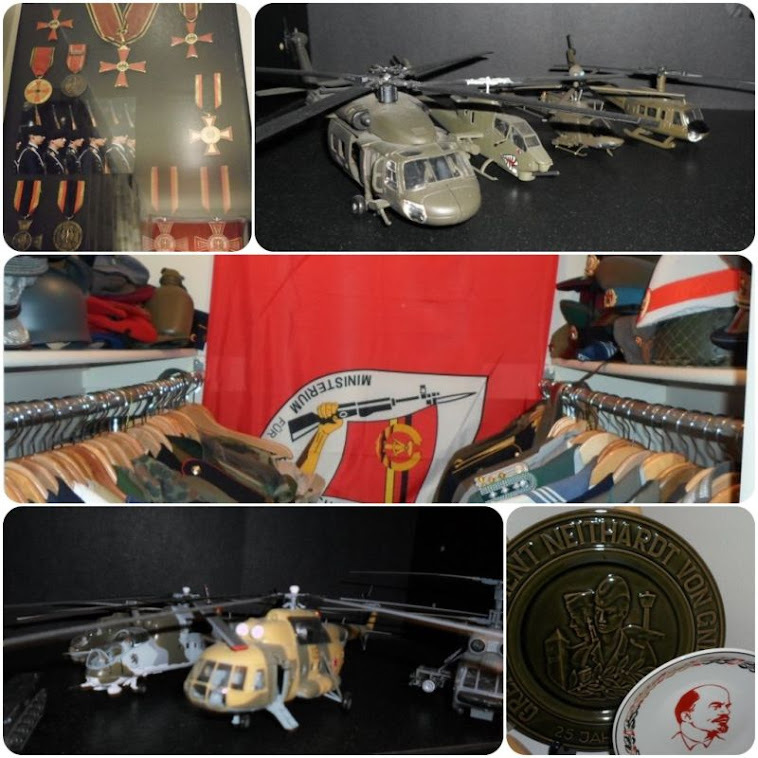 These were based in various former Wehrmacht barracks located across Lower Saxony and North Rhine-Westfalia. These two divisions were reinforced first by the 11th Armored Division in 1950 and the 6th Armoured Division in 1952. Together they formed I British Corps, which was part of NATO and subordinate to NORTHAG (NATO's Northern Army Group). Throughout the Cold War and the subsequent collapse of the Iron Curtain, the four Divisions of BAOR were continually reduced, restructured and reequipped with new weapons. 1. The main force of I (BR) Corps which had its headquarters at Bielefeld. 2. The British Rear Combat Zone headquartered in Dusseldorf, responsible for the resupply of the fighting formations. 3. The British Communications Zone headquarters at Emblem, Belgium which was tasked to receive reinforcements from Great Britain and to coordinate their onward deployment to I (BR) Corps. The fourth and final contribution to BOAR was the Berlin Infantry Brigade, which was 3,000 strong and not subordinated to NORTHAG but under the control of the Allied Control Council in Berlin. The manpower strength of the BAOR varied during its existence roughly between sixty and twenty-five thousand troops. The troops of the British Rhine Army were commanded by a four-star general from Headquarters at Rheindahlen, which also housed the headquarters of RAF Germany, NORTHAG and 2nd Allied Tactical Air Force. I (BR) Corps consisted of Corps troops and four divisions. The 2nd Infantry Division was one of these and was stationed at Catterick, ready to deploy upon moments notice. The 24 Airmobile Brigade also belonged to this division. It was fully air portable and capable of being transported by helicopter along with all its equipment. The main task of the three infantry battalions of this Brigade was anti-armor operations and they were equipped with the capable Milan anti-tank weapons system. Two other brigades consisted of Territorial Army units maintaining highly trained and motivated personnel, with their senior ranks including many ex-regulars. The three other divisions were armored divisions and with the Corps troops, they were stationed in twenty areas across Lower Saxony and North Rhine-Westfalia. The divisions had three brigades each, differing in strengths and capability ranging from armor, infantry, artillery, engineers, Long range reconnaissance, signals, pioneer and artillery regiments formed from divisional troops. 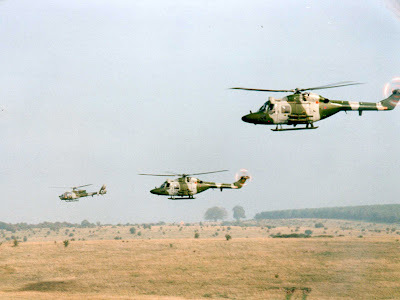 Each division could call on air support from an Army Air Corps Regiment equipped with Gazelle observation and Lynx multi-purpose helicopters. BAOR participated constantly in various exercises such as the REFORGER or Return of Forces to Germany alongside the United States and other NATO armies to ensure its readiness in time of a crisis. 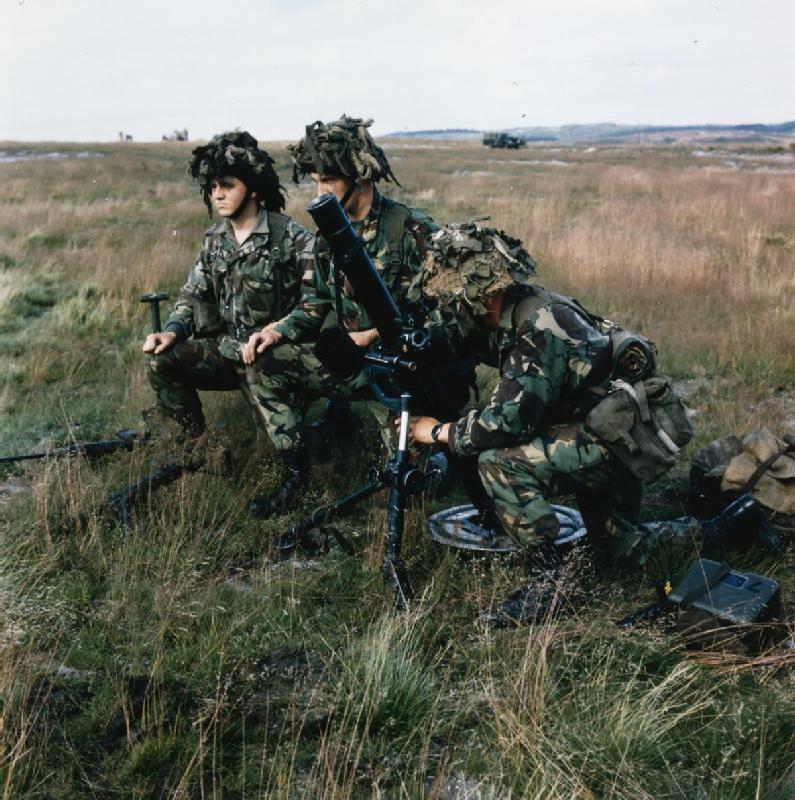 The units of the Territorial Army also carried out exercises across West Germany, with the battalion and brigade scale exercises carried out in joint NATO training areas. Live fire exercises at battle-group level were carried out in Canada at the BATUS training area, to enable a three-day exercises without having to use the same terrain twice. The Challenger main battle tank was the British Army of the Rhine's tank of choice in planning the massive defensive operations against Soviet and Warsaw Pact armored forces in Germany. Elements of the BAOR were regularly deployed to operate under UN command as part of BATT and UN peacekeeping operations and they also took part in regular deployments to Northern Ireland for tours of three or six months. In the event that war had broken out, the BAOR would have come under NATO command. BAOR as 1 (BR) Corps would defend a sector of the North German Plain as part of Armed Forces Central Europe. BAOR forms part of Northern Army Group as part of AF CENT and NORTHAG and would be partnered by the Central Army Group. NORTHAG's operational area extended from Hamburg down to Kassel and from the Netherlands border to the Inner German border with communist East Germany. In NORTHAG, BAOR was flanked by 1 Netherlands Corps to the far north, 1 German Corps to the immediate north, and 1 Belgium Corps in the southern most position. The 1 British Corps area extended from a line just north of Hanover down to a line just north of Kassel, and extended from the inner German border to a line just west of Soest but the BAOR boundary itself extended right back to Antwerp in Belgium. In the event of war, BAOR would become British Support Command, which would supply 1 British Corps and guard the rear areas. It was planned that if the area of responsibility of I (BR) Corps came under threat the Corps would fight with two of its respective armored divisions forward deployed with one remaining in reserve. The 2nd Infantry Division, after its arrival, would defend vital military targets in the Corps rear and the 24 Airmobile Brigade would be ready to guard against any rapid enemy armored thrust which might develop. A Gazelle observation helicopter provides reconnaissance and targeting information for a pair of Army Air Corps Lynx helicopters configured with guided missiles for the anti-armor role. As well as the members of the Armed Forces, there was also a significant British civilian presence in Germany with spouses and families living in dozens of small British townships, their streets named after members of the Royal family and they were sprawled across the northern plains and the fringes of the Ruhr Valley. Shopping complexes offered reminders of home such as marmalade, Bovril and tea bags and olive-painted military buses took army dependents to schools where Germany and its history were barely mentioned. Within their towns and villages, the British forces had their own cinemas, bingo nights, pantomimes, hospitals, clothes shops, postal service and radio station. They were not as isolated as their Soviet counterparts in East Germany and many Anglo-German marriages occurred. It was not uncommon for British soldiers and their families to spend three years in Germany without learning more than four phrases of the language. There was little friction between the two communities except for the steady protests of locals against the noisy, low-flying British jets. "The momentous events in Russia, Central Europe and Germany have brought changes for all of us in Western Europe, almost all for the better. Here today we draw together one of the consequences of these events with the disbandment of the British Army of the Rhine." BAOR has now been succeeded by British Forces Germany, which also incorporates the former RAF Germany.